The Government has announced plans to opt into an EU directive providing for and regulating asylum seekers’ access to the workforce. 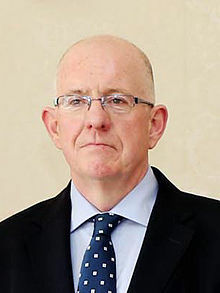 Justice Minister Charlie Flanagan yesterday secured Government agreement to opt into the recast EU Reception Conditions Directive (2013/33/EU) within the next few months, in response to the Supreme Court’s landmark ruling on asylum seekers’ right to work in May. The court found the absolute prohibition on asylum seekers looking for employment in section 9(4) of the Refugee Act 1996 is unconstitutional. Mr Flanagan said the Government had fully accepted the recommendations of the inter-departmental taskforce set up in light of the ruling, most significantly to opt in to the EU directive. He said: “The decision to opt into is a significant one. It provides a framework that will enable International Protection applicants to access the workforce in circumstances where their application for international protection status has not received a first instance decision within the timeframe set by the Directive. “The Directive sets out the framework and parameters for this and by exercising our opt-in will bring us into line with the rest of the European Union. “I want to clarify that temporary permission to access the labour market for eligible applicants will be granted irrespective of whether or not an applicant chooses to avail of the State’s offer of Direct Provision accommodation and other supports. “Both the McMahon Report and a number of NGOs have called for Ireland to opt into the Directive. The Commission will decide when Ireland has complied with the provisions to confirm our participation in the Directive and this may take some months. Nasc, the Irish Immigrant Support Centre, said the decision to opt in to the EU directive would have positive wider consequences. The Directive also provides for access to vocational training, health care and the introduction of an assessment to identify vulnerability to ensure particularly vulnerable applicants, such as victims of torture or sexual violence, are able to access appropriate supports and services. 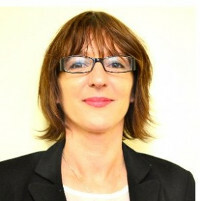 Ms Finn added: “While we very much welcome this move from the Government, as it is something Nasc have long called for, we are eager now to see more details on what specific provisions will be made for the right to work, as no detail has been provided in the Department of Justice’s statement. “It is incredibly important that the right to work be accessible and effective, with no restrictions or conditions on types of employment.